Each spring, the desert comes alive as the wildflowers bloom and transform the Coachella Valley into a colorful canvas. Great Outdoors Palm Springs will be present at the Trails Coalition vendor booth providing information on local hiking opportunities. 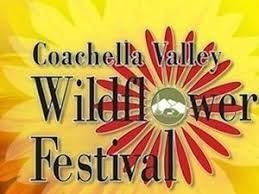 In addition to great wildflower viewing and beautiful art, the festival features a 5k trail fun run, and interpretive wildflower hikes. There will be raffles, vendors, exhibitors, and live music in the beer and wine garden, as well as food and beverages available for purchase. The Santa Rosa & San Jacinto Mountains National Monument Visitor Center is located off Highway 74 in Palm Desert. Admission and parking are free for the festival. Shuttles will run from St. Margaret’s Church on Highway 74. There is no onsite parking.